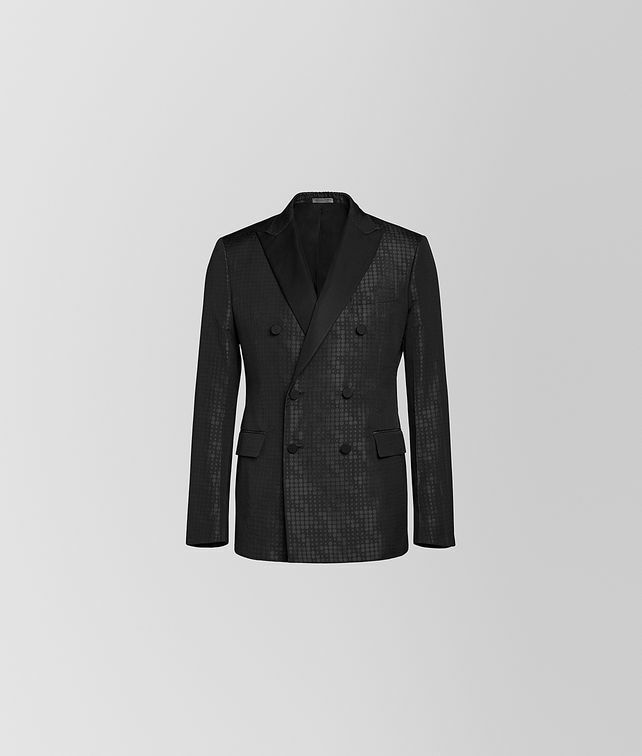 The classic tuxedo jacket gets a unique touch from the season’s dot motif. Ideal for winter’s special events, the double-breasted style is crafted from taffeta jacquard with a graphic pattern. It is finished with covered buttons, peak lapels and two front flap pockets.